How can I ask for a GRE waiver? You will have to write a GRE waiver letter where you explain why you want the admission board to grant you that request. 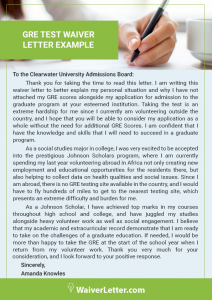 How should I write a low GRE® score waiver letter? If you have a low GRE score, you will have to explain, briefly, why you got that grade. This can either be because you have some family problems, health issues, or personal complications that prevent you from getting good grades. 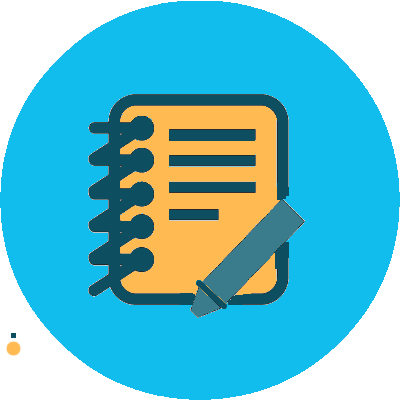 Take a look at a GRE waiver request letter sample and use it as a guide to write yours. 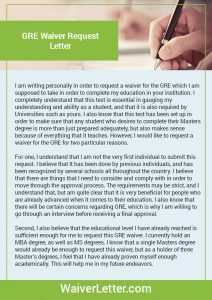 What should I include in a GRE waiver letter? You should add any relevant experience you may have that will grant you the waiver. You will also have to write why are you asking for that waiver and state anything that may support your request. How can GRE® be waived? In some schools, if you have at least five years of relevant experience, the school can waive your GRE®. It can also be waived if you have had any personal issue that prevented you from getting a high GRE® score. If I do not have professional experience, what should I include in my waiver letter? In this case, you can attach any tests that you may have takes to prove your knowledge. Or, if you have just completed an undergraduate degree at the same university, you can state that when asking for a waiver. Many graduate degree programs require that you include your Graduate Record Examination (GRE) scores as part of the application package. GRE scores provide admissions officials with a means to assess an applicant’s ability to successfully complete the program applied for. However, there are cases where admissions might consider waiving the GRE requirements if the applicant can display that they have the necessary skills and abilities the GRE scores are intended to demonstrate. Most programs have criteria requirements that must be met before you will be eligible to even be considered for a GRE waiver. Requirements vary from program to program but are usually similar. If you meet the institution’s eligibility requirements you may then submit a GRE waiver letter, like our GMAT waiver letter sample, requesting the GRE requirements be waived. Being eligible for a waiver does not guarantee that it will be granted. It only means that your request will be considered. Have a graduate level degree from another institution with a superior record in graduate-level work. To improve the chances of a GRE waiver being granted, your GRE waiver letter must convince admissions officials that you have the same skills and abilities that the GRE would demonstrate if you did take it. Unless otherwise instructed, the GRE waiver letter can be written in a business letter format. Body: The body should consist of two to three paragraphs. You should discuss the last 10 years of your work experience that relates to the skills assessed by the GRE or the past 5-10 years of any graduate-level research you have been involved with, depending on which particular criteria you have met. Include specific examples that show how you have demonstrated certain skills. You can’t cover everything so choose two or three particular skills to focus on, that would be considered the most desirable for the particular program. Conclusion: Thank the letter recipient for their time and for considering your request for a GRE waiver. 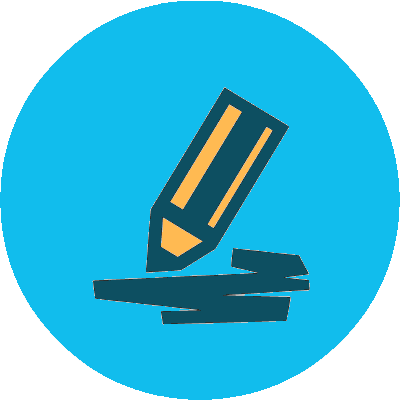 Don’t forget to revise and proofread both GMAT waiver letter and a GRE waiver request. If you are considering requesting a GRE cost waiver you should be aware that the graduate programs are not the place to make these requests. That is a different letter completely. If you are having problems with the GRE waiver letter you may want to consider using the waiver letter writing service we provide. When writing your GRE waiver request letter, you should pay extra attention to some things. First, you should be extra careful with the language you use. Do not forget you are writing to ask for a waiver so you will have to use formal language and thank the reader at the end of your letter. Also, pay attention to your grammar. Your waiver letter should be written in excellent English grammar. Thus, if you think you do not have perfect writing skills, you should ask for professional writing help. Last, but not least, always remember to revise your letter. Proofreading it before sending it can help you avoid any silly mistakes you may have made. 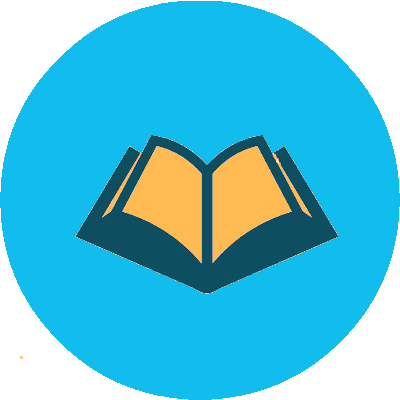 The Graduate Record Examination, also called GRE, is a standardized exam taken by students looking to apply for a postgraduate study in the United States and other countries. There are actually several sections to take note of in the tests and we’ll discuss here. A US citizen average a score of about six (6) points lower on the Math subject and six (6) points higher on verbal, as compared to other non-US citizens. China records a higher Math average score at 162.9, no other countries average higher than 160. What Is the Average GRE Score by Intended Graduate Majors? What Are the Average GRE Scores for Top Programs? For engineering, Princeton reports an average of 161V and 162Q for admitted students. For Harvard, the average for engineering program is 161V, 4.3 AW, and 165Q. UC Berkeley average 161 V, 161 Q and 4.5 AW in its psychology program. Average applicants to the Yale School of Management scores at least 160 V and 162 Q. At Iowa’s Tipple School of Management, it reports an average of 153 V and 153 Q. At Wharton School of U Penn, the average score is 162 V and 167 Q. If you are looking for an impressive waiver letter, then go ahead and place your order available at a 25% discount. Use the code GRE25 today! 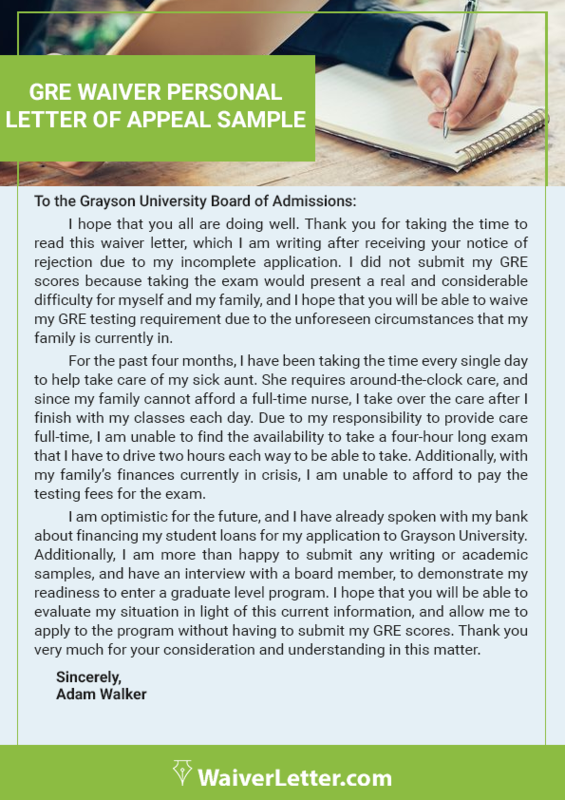 If you are worried about the GRE cost waiver letter, let us tell you we have affordable prices to help you with your letter. We guarantee that our low-cost services always deliver high-quality results. Our waiver letter writing professionals can help you convince the admission board to grant you an IELTS or a TOEFL waiver. Guarantee of complete customer satisfaction and on-time delivery with every letter we write. For a GRE waiver letter that makes a good impression and improves the odds of your request for GRE waiver being approved, contact us to provide all of your GRE waiver letter needs!